Breakfast: Banana Bay – Located on Fortune Beach, Banana Bay offers a light breakfast of authentic Bahamian dishes in a laid-back atmosphere. You won’t find many tourists at this spot, perhaps because it’s off the beaten path of Freeport, but the endless ocean views — and the house-made banana bread — make it worth the trek. Lunch: Garden of the Groves – This local favorite is set in a U.S. Wildlife Federation-certified habitat that’s home to lush vegetation and interesting wildlife. The fact that the café serves up delicious salads and sandwiches is really just a bonus, since you won’t be able to take your eyes off the cascading waterfall or the baby ducks that casually stroll by. Dinner: Taino by the Sea – This oceanfront outdoor restaurant couldn’t exist anywhere but in the Bahamas — dishes include local specialties, such as coconut peas ’n rice and cracked conch, and Bahamian music plays in the background. 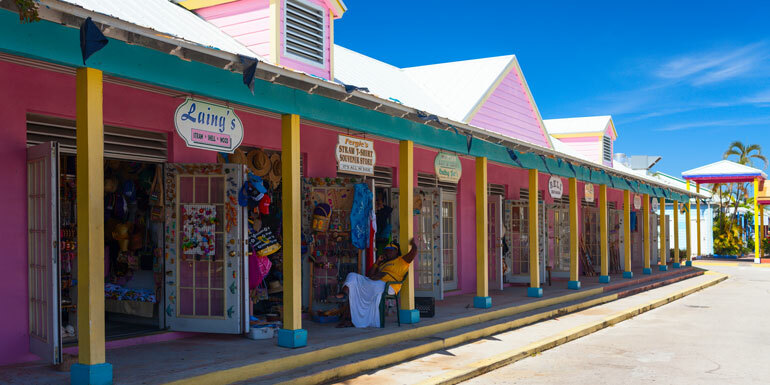 Drinks: Port Lucaya Marketplace – The best time to check out this colorful cluster of huts is after dinner, when the bars open up and entertainers come out to perform in Count Basie Square. Grab a rum punch or a Kalik beer (brewed right on GBI) at Sparky’s, or dance to Bahamian music at Joker’s Wild. Tip: As you make your way through the city, stop at one of the little roadside shacks. They look like lemonade stands, but they sell conch salad to locals looking for the freshest conch. For Everyone: Junkanoo Beach – Of all the beaches in Freeport, Junkanoo is the easiest to get to from the cruise ships, yet it doesn’t get unbearably crowded. For just $5, you’ll get access to the white sandy beach, a beach chair, an umbrella, kayaks, and pedal boats. 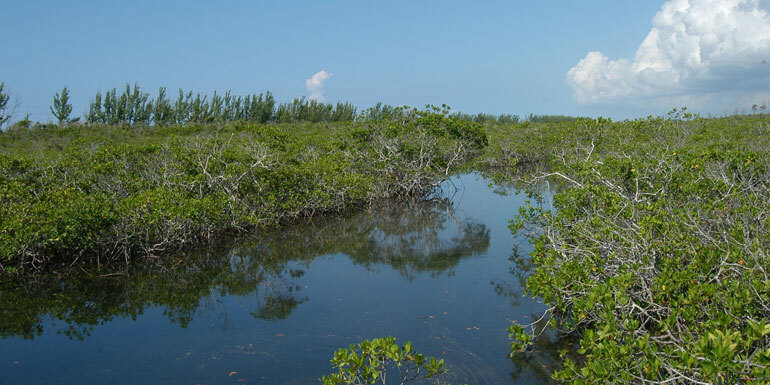 For Couples: Lucayan National Park – Freeport is known for its underwater caves, and Lucayan National Park is one of the few places that allows visitors to tour them. The 40-acre park is also home to thousands of pine trees, mangroves, and ferns, as well as dozens of rare flower species, including orchids. The park’s most dazzling attraction is Gold Rock Beach, a beautiful secluded strand ideal for a romantic sunset stroll. For Families: Grand Lucayan Resort – Freeport’s most popular resort offers day passes that — at $20 for adults and $10 for children — are a great option for families. 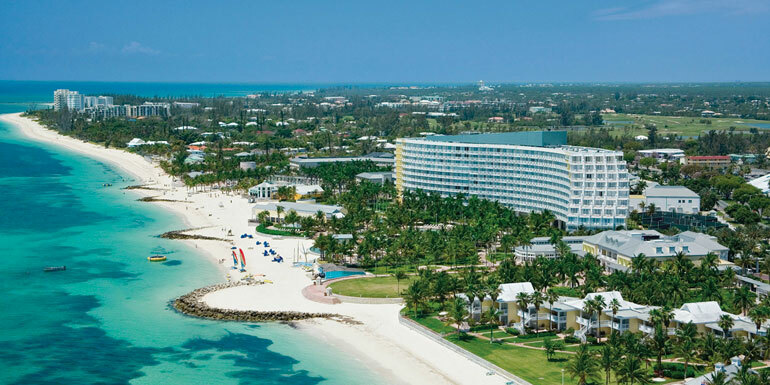 The pass gives you access to the Grand Lucayan’s spectacular property, pools, beaches, and lounge chairs. Towels are not included, so remember to bring one from the ship — and to bring it back with you when leave the hotel. Also, note that if the resort is at full capacity, Grand Lucayan may not be able to honor the day passes, so be sure to call several days before arriving in port. 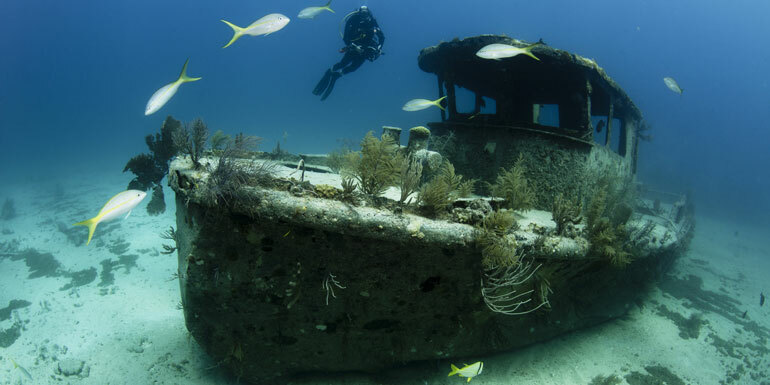 For the Adventurous: UNEXSO – Located in Port Lucaya Marketplace, the Underwater Explorers Society offers a wide range of diving excursions and dolphin experiences, including shipwreck and dolphin dives. Our favorite option is the Discover Scuba Program because it turns non-divers into divers in only a few hours. The package includes an introductory diving lesson in the pool and, before you know it, you’re 30 meters deep admiring the reef. What do you like to do on Grand Bahama Island?